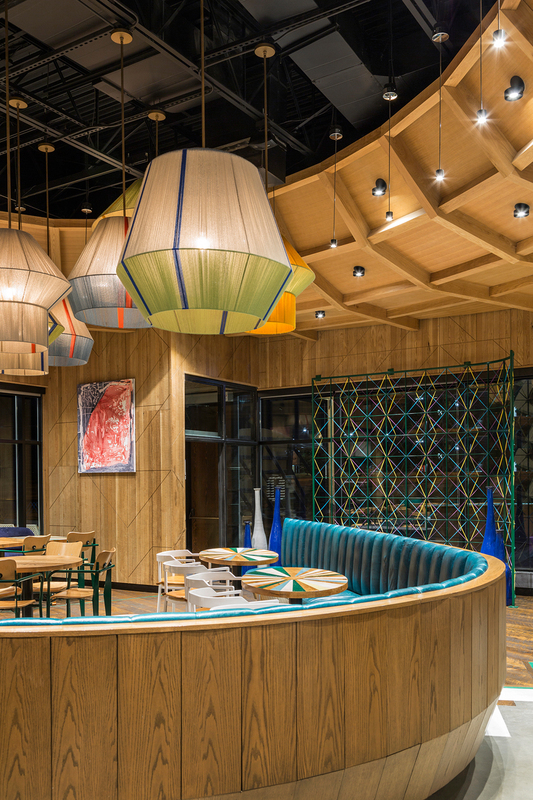 Operating globally in 35 countries, Nando’s is an international restaurant chain that originated in South Africa; known for their Portuguese-style flame grilled chicken and welcoming hospitality, Nando’s is extremely proud of its Afro-Portuguese roots. 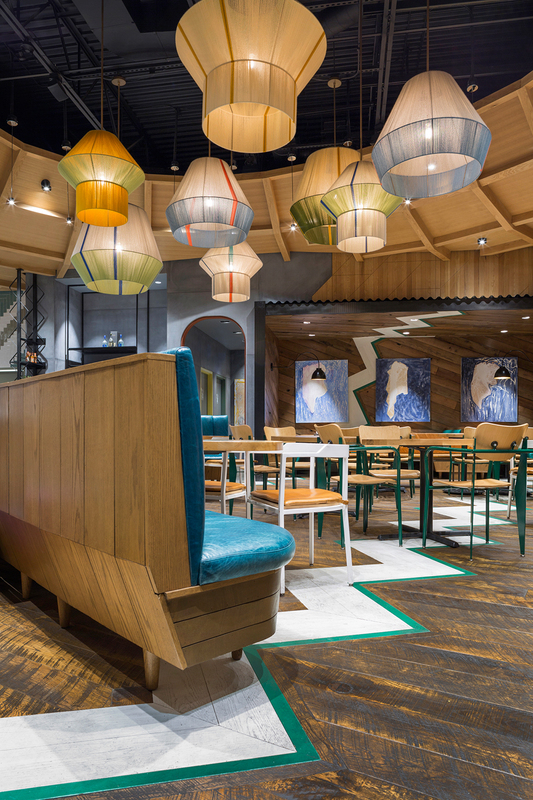 This heritage is celebrated in the food, as well as, the art, music and design of every location; however, each “Casa” possesses a unique personality and style. 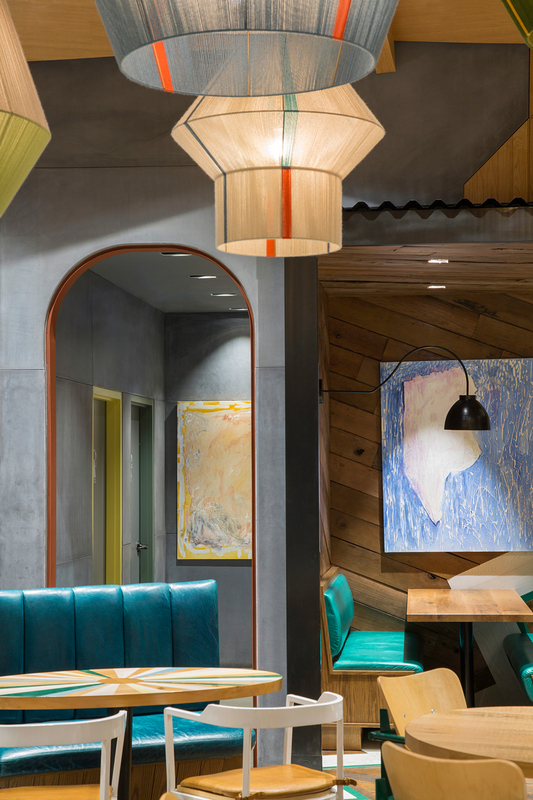 Drawing cues from Mozambican/Portuguese culture the interiors for the Oshawa casa are a combination of earthy textures, rich warm colors and whimsical design elements with a hand-crafted appeal. 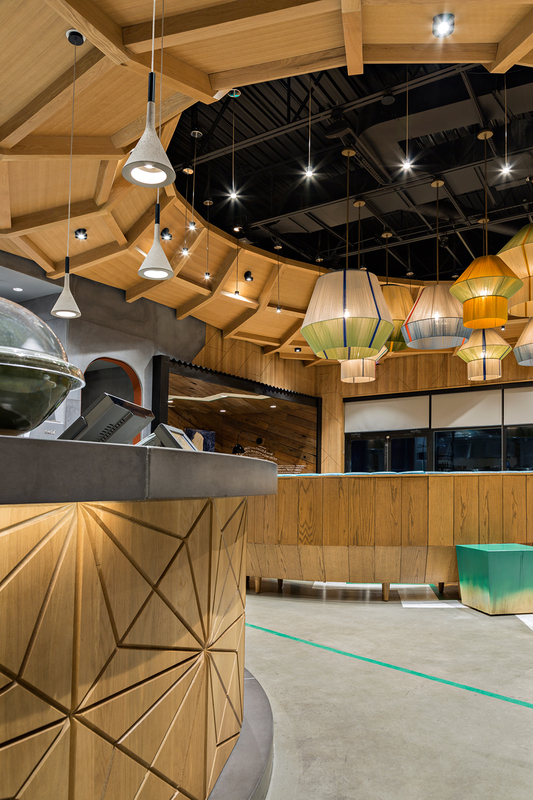 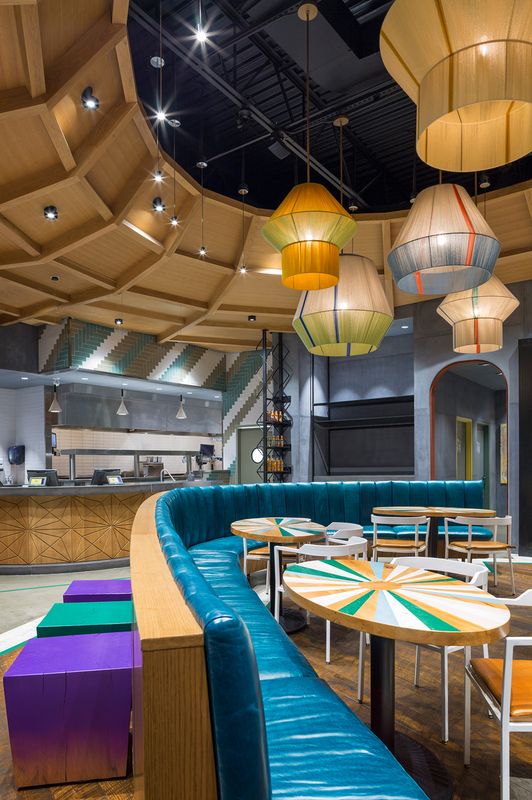 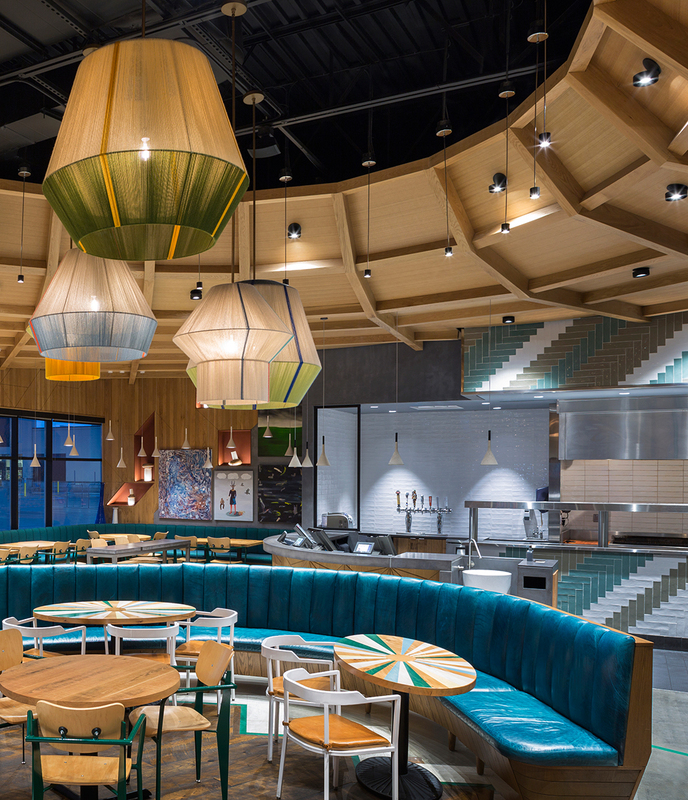 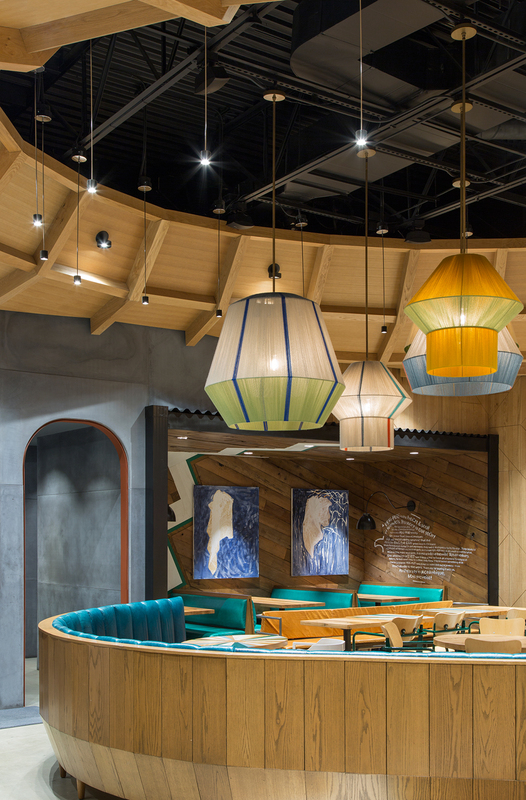 Central to the design a conical shaped, coffered wood ceiling defines the main dining area and dramatically frames a grouping of oversized woven pendants. 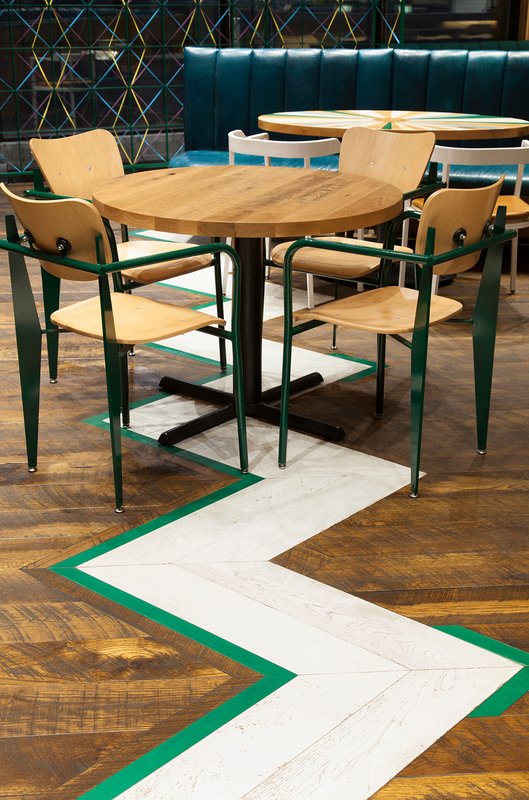 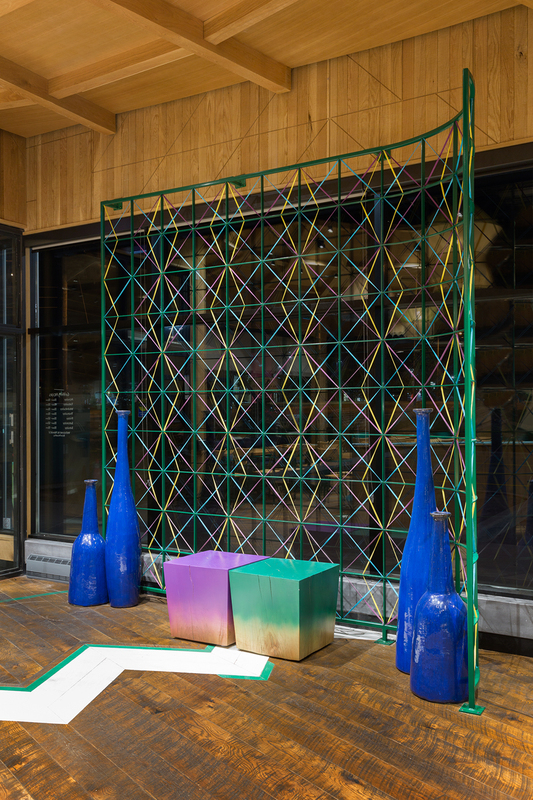 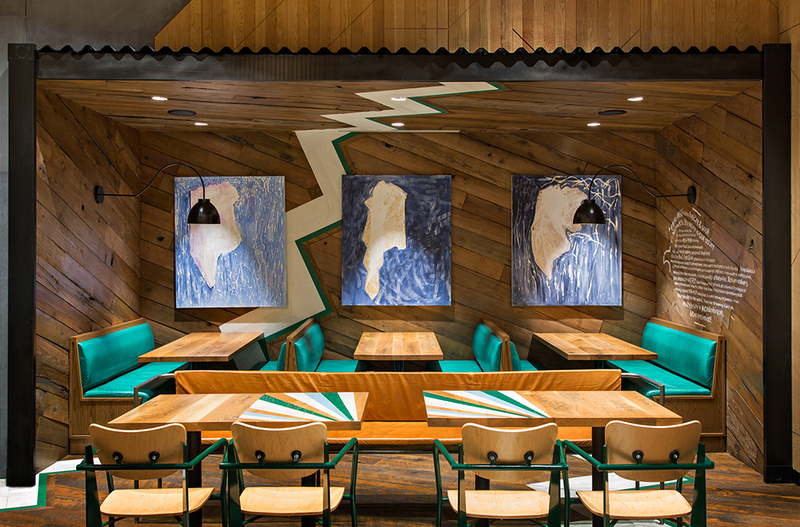 Painted table tops literally burst with color, South African art adorns the walls and a playful zig-zag stripe runs across the floor, up the back of a shipping crate inspired dining niche. 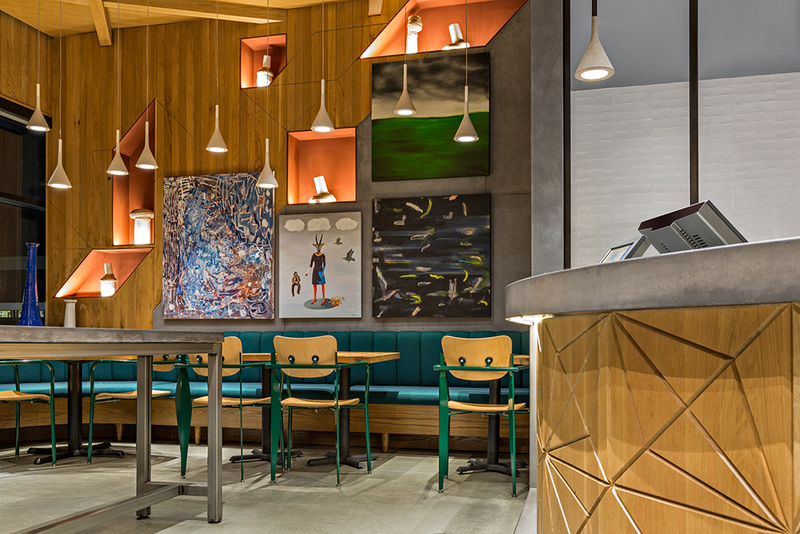 An inviting and lively environment this Nando’s location is all about the details.